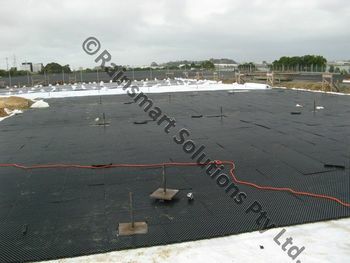 Rainsmart 30mm & 50mm Drainage Cell system provides perfect Horizontal Drainage which is used to improve drainage and replace or reduce natural aggregate drainage materials in horizontal applications such as Green Roofs podium and planters, and subsoil drainage applications. 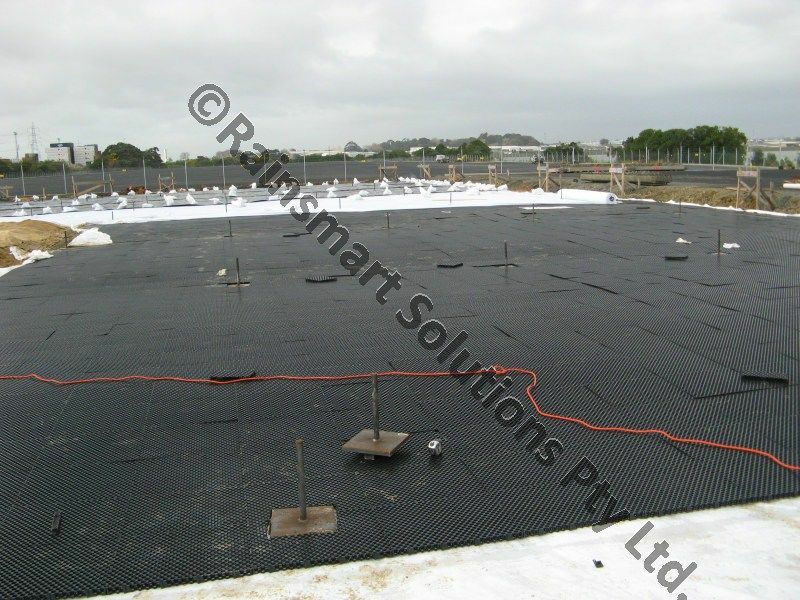 Rainsmart 30mm & 50mm Drainage Cell system provides protection for waterproofing systems as well as positive drainage in the minimum amount of space (elevation) and weight, both critical elements in roof and deck applications. 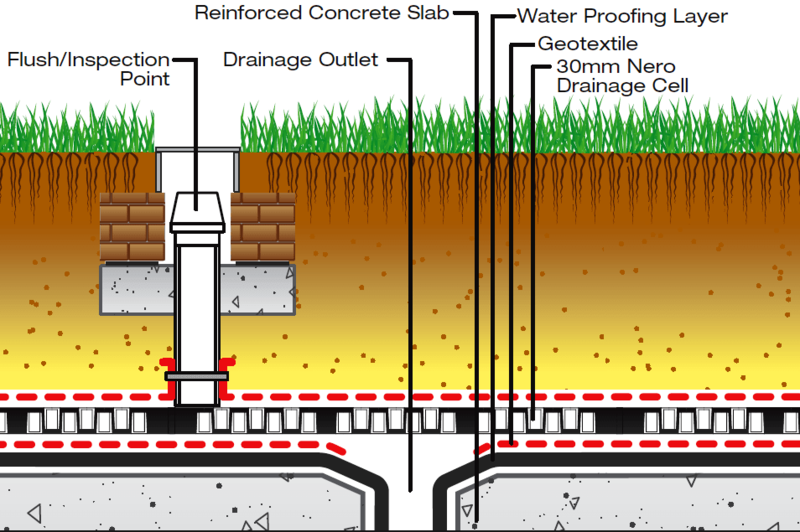 In planters, planting soil is retained while excess water passes into the drainage core and is then conveyed into the collection system. 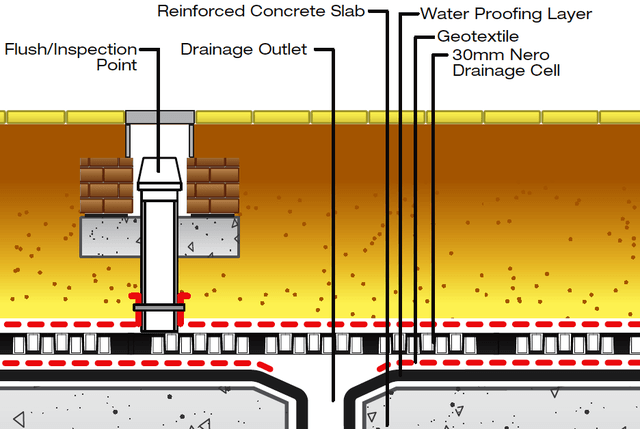 Drainage plays a critical role in the design and construction of below grade applications. 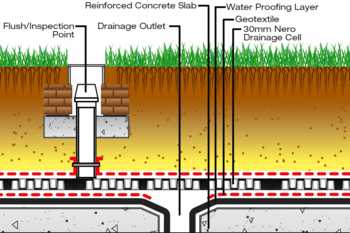 Without proper drainage, groundwater seepage may cause hydrostatic pressure and leakage, resulting in structural damage. 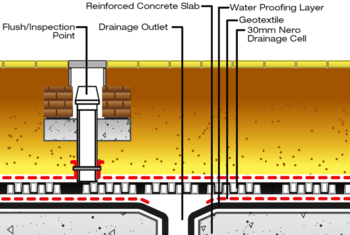 Rainsmart 30mm & 50mm high strength Drainage Cell 95% internal void surface ratio provides multi-directional flow design allows a continuous path for water discharge, eliminating the potential for hydrostatic pressure build up. It allows water to pass freely into the drainage core, where it is gravity fed into the drainage collection system. 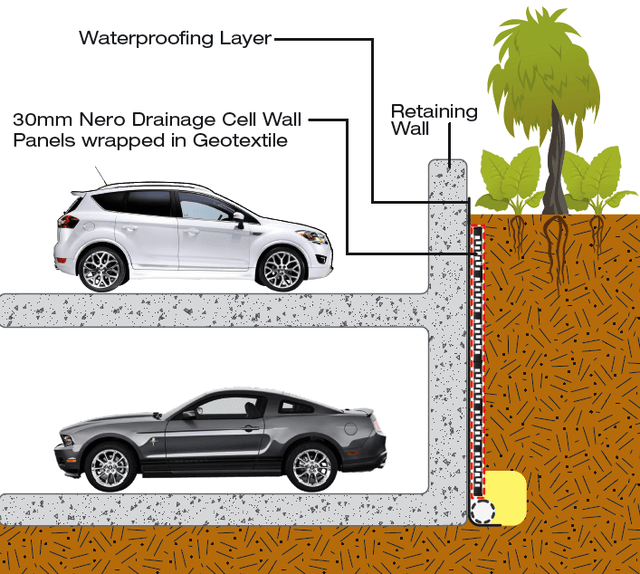 Nero Wall Panels & Logs are made up of high strength 30/50 mm Nero Drainage Cells wrapped in needle punched non woven Geotextile filter fabric. 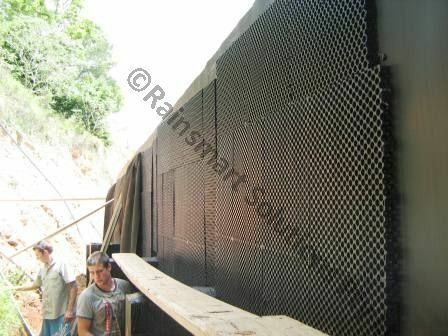 High compressive strength and high flow rate through the Drainage Cells provides effective drainage and protection of the waterproof membrane for foundation walls and other underground structures. The integrated non-woven Geotextile covering the Drainage Cells stops ingress of soil particles, and prevent blocking of the drainage sheet, creating an effective void for reliable ventilation and allows inflow and transport of water from surrounding soil. 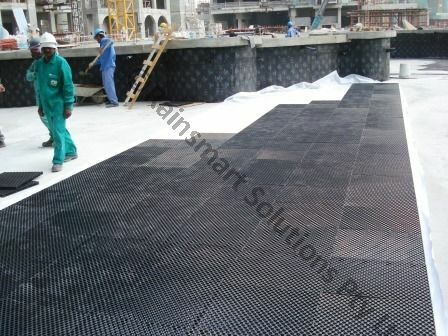 Panels also provides additional cushioning and protection for the waterproofing, eliminating the use of Protection boards. The Nero Wall Panel system replaces the traditional drainage aggregate, and saves time and cost. 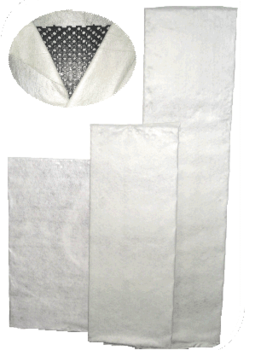 The lightweight, pre-clipped wrapped panels are quick and easy to install, without the need of any heavy machinery. 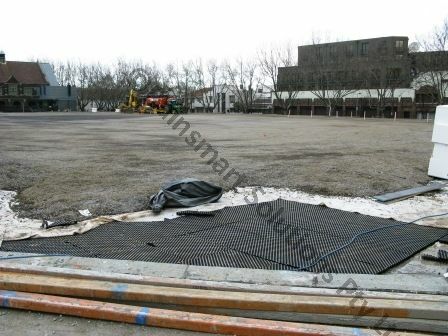 In most cases excavated material is suitable for backfilling, provided its permeable and non cohesive.